You are ready, or at least seriously thinking about coming to China to learn Chinese. Great! In fact, we can all comfortably agree it was one of the best decisions we ever made! That said, preparing for a move to China can be a daunting task. Depending on where you come from and where you’re going to, you will need to consider many different things. If you’re preparing for a move to China then you probably already have a job in mind or place at a language school or university. 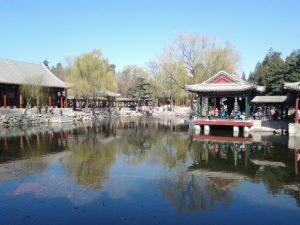 Whether you’re moving to Beijing or a rural town in the countryside, here are a few things in China the LTL Marketing team would class as top tips to make sure you get the most out of your experience in China. 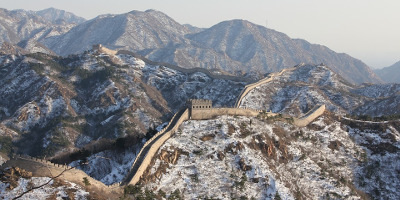 Moving to China Tip #5 – Get your VPN sorted, NOW! Well, you can finish reading this blog first! But still, it doesn’t matter if you already have made the decision to travel to China and have a date set, or if you’re still thinking about, start studying! It may seem pretty obvious that you should learn at least a little bit of Chinse, or even just Ni Hao 你好 (hello). But, the amount of people that move to China without knowing a single word of the language is very high. You certainly don’t have to be fluent. I moved to China with a few key phrases only. But believe me, it makes a massive difference. Even in China’s major cities such as Shanghai and Beijing, there will be few people who speak English. English is much more prevalent in Shanghai, but even in China’s capital, Beijing, you’ll find it difficult in certain areas to find somebody who can help you if you get lost. Outside the big cities and deeper into the countryside, you may be the only foreigner in the village. Learning a second language in smaller cities or villages is not common practice. Learning Chinese helps you with your daily life and will help you deal with the culture shock of your move to China. 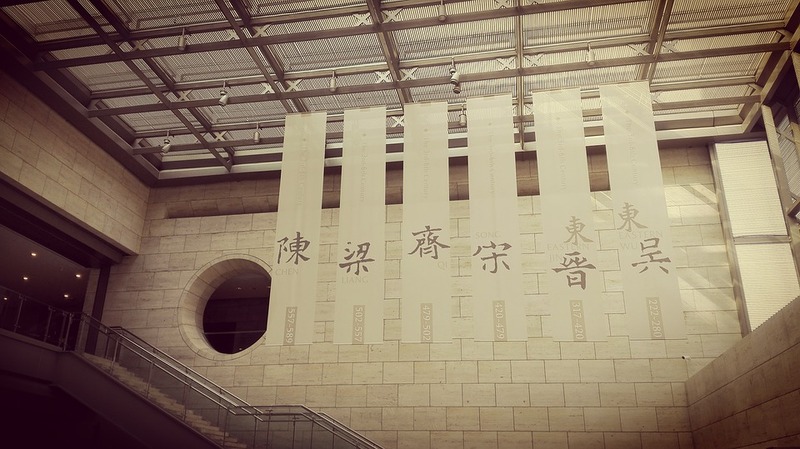 The more you manage to learn before you arrive in China the easier it will be for you to learn even more. Listen to sounds and tones, get a feel for the language, look at characters. Then when you arrive you won’t have to start completely from scratch. Remember 1 is infinitely better than 0. Most beginner courses are laid out so that you start learning speaking and listening. There’s nothing wrong with that at all. I would, however, suggest if you are to start learning Chinese, (especially studying full time) learn the characters as well. Yes, they appear complex and some of them incredibly similar? I mean seriously how can 矢, 失, and 先 all be different characters? But don’t worry, don’t be phased. Getting base patterns down and recognizing the most common characters doesn’t take too long. Besides, knowing even basic characters makes life in China so much easier, especially if you’re hungry and don’t feel like ordering “zhege” (这个) again. WeChat is by far the most popular communication app in China and it’s growing at a rate of knots. You can even pay in shops and taxis with WeChat. I (Jan) was quite late to the WeChat party, it took me several months after coming to China before I installed it, which was not only bad for my social life, but also for my Chinese. After installation, I used the “look around” function where you see who else is using the app near you and you can chat with them. I used this function to randomly chat with Chinese people, in Chinese and thus learned plenty of characters, grammar, and slang. You can do so much on WeChat and although it’s known for chatting and group chats, it’s so much more than that and takes convenience to another level! As a newcomer to China it’s likely you will end up in either Beijing or Shanghai and that’s great as both cities have a lot to offer. But in those cities it is so easy to end up just using English, your roommates, colleagues, classmates and people you meet in Sanlitun or on Yongkang Road will likely be foreigners, or at the very least English speaking Chinese. 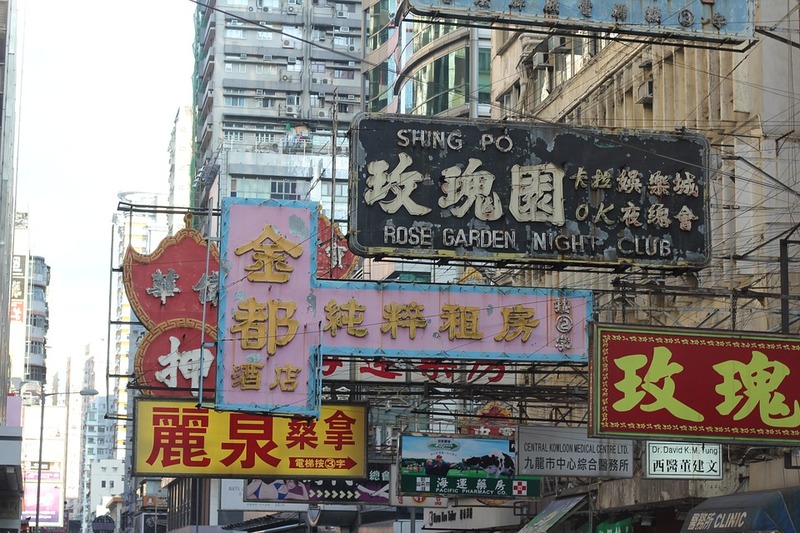 Going off the beaten path and doing full Chinese immersion is possible, but it’s not for everyone. Also if you’re French, you’re in double jeopardy as even if you escape the English bubble, the French bubble might just find you. What I’m saying is, if you want to stay in the big cities while learning Chinese make an effort to put yourself into situations where you are forced to use Chinese. This will greatly define how quickly you learn the language. Sort your VPN out, NOW! Downloading a VPN whilst IN China isn’t the easiest thing in the world to do! You will definitely need to download a VPN in order to access any websites or apps that are blocked in China. You should download this before you come to China. Otherwise, it will be hard to download a VPN whilst in China. Save yourself and your friends a lot of hassle and be smart, get it done BEFORE setting off on that journey. Download your VPN to all your key devices, namely your phone, iPad and computer(s). 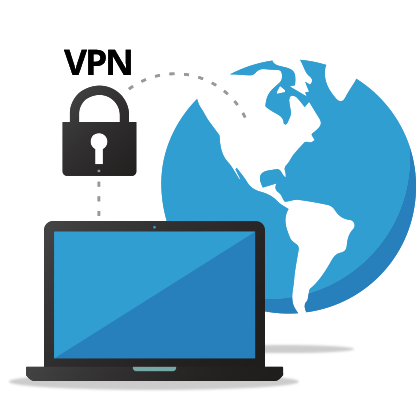 We have a whole extensive series covering VPN’s! What is a VPN, and is VPN illegal in China? 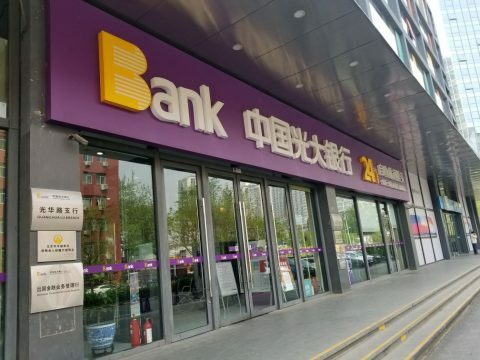 Going to set up a new bank is the classic example but generally the bureaucracy is China is likely to be completely different from what you are used to. A visit to the bank in your home country may take a little under half an hour. Not in China, be prepared to queue, struggle along with the language, have about 5 members of staff all look at your passport photo and name as if you are an alien, struggle to input your name into their systems… the list goes on! No need, once you’ve been there once or twice it becomes a rite of passage. TIP – Maybe it’d be useful to take a friend/colleague with competent experience to help on your first visit? TOP TOP TIP – always take your passport, for anything. If you don’t, you’ll get turned away. Simple as that. You may have survived so far travelling to different countries using the same apps as in your home country, but China is a bit different. With many apps blocked in China, China has their own version of many popular apps. For WhatsApp there’s WeChat, as we discussed before this is essential for getting by in China. But there’s also lots of other useful apps you’ll want to download to use in China. For Google Maps there’s Baidu Maps, for Spotify there’s QQ Music… And more! More often than not, these Chinese apps are just as good as the ones you may be used to using – if not more! Aside from VPNs, you should be aware of other restrictions you may encounter on your move to China. China likes to do things its own way. 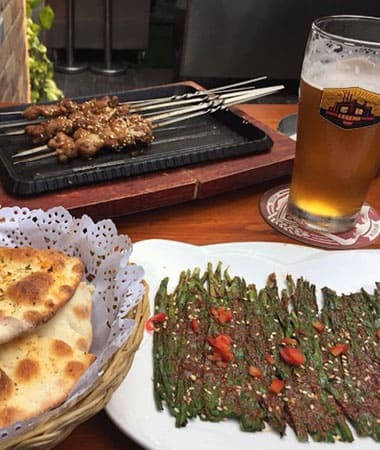 It’s own apps, it’s own products… It will be difficult to find those home comforts you may be craving within the first few weeks you’re in China. It’s best to pack those things that you’re used to having every day, and the things you think you can’t live without. And pack a lot of them. There are a few foreign supermarkets you can get certain produce from, but it’s best to be safe. Bearing in mind, however, that things you think you ‘can’t live without’ will often soon become a thing of the past, replaced by something much better or cooler than you found in China. Then you won’t want to leave China! Apart from these obvious restrictions, you will find that China is incredibly liberal when it comes to things that otherwise may not be so liberal in your home country. And some of these things may shock you. China is big. Like, really big. This means that the climate is very diverse depending on where you go in the country. For some, this can be an important factor when choosing where to live or preparing for your move to China. It will have an impact on your living in China experience. To give you an idea, Beijing, which is situated kind of in the middle of the North/South line, changes drastically. The temperature can change from 40+ degrees Celcius in the summer, to -20+ degrees Celcius in the winter. Beijing also doesn’t have much of an autumn or spring, so it’s extreme temperatures for a lot of the year. Above Beijing, you’re going to get a lot colder during the winter period. If you go very far up north, temperatures can reach -35+ and stay like that for a long time. Head further south, and you’re looking at a much milder winter. In fact, if you go down to Shenzhen then you could be looking at a winter of 20+ degrees Celcius. Perfect for those who fear the cold, not great for those who burn easily. Apart from it impacting where you choose for your move to China, you should also be prepared in advance for the extremities. Make sure to bring suncream, and be aware that Beijing and the south of China is very humid. You’ll sweat. A lot. You should also be aware of pollution in some cities such as Beijing. It’s important to wear a mask when pollution gets bad. 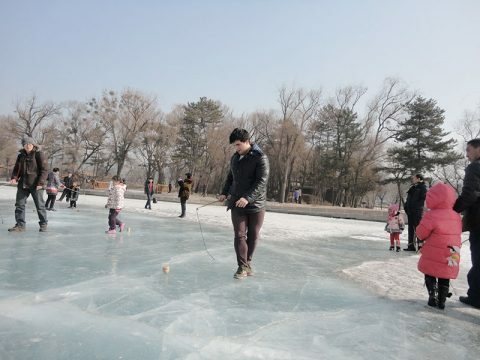 During winter months, the north of China has a government heating system. The heating comes on automatically at a set date every year, and gets turned off at a set date a few months later. This is both awesome, and awful. The heating obviously gets turned on too late. No one can predict how cold it will be, you can only guess. So, of course it will happen that you have a cold spell weeks before the heating system is turned on and you find yourself buried underneath blankets with multiple hot water bottles (true story). Similarly, you’ll have fluke warm spells during the winter months – but you have no control over your heating. You’ll find yourself having to open windows and doors just to keep cool. This isn’t something you can really prepare for before you move to China, but I certainly would have liked to have been aware of it before I found myself walking round in my underwear too hot in January, whereas 2 weeks before I’d been stuck in my bed in the fetal position unable to stop shivering. Chinese food is great. Everyone loves a Chinese takeaway. However, Chinese food in China is very different from the Chinese food you’re probably used to. Much Chinese food you can buy outside of China is adapted for Western tastes. Chinese food is spicy. It’s oily. Greasy. Full of MSG. It’s not the healthiest. It’s got lots of meat and fish. But, it’s awesome. But, your bowels may not agree at first. During your time living or working in China, do make sure to get free of the western restaurants and eat out. Experience food from all over China, and the 100s of different dishes and flavors on offer. However, do be aware that these foods and ingredients may not agree with you straight away. Chinese people, Chinese culture, and the Chinese peoples’ mannerisms are probably not something you’re used to. It is commonly thought that Chinese people can be loud, very direct, and take a lot of pictures. This can be problematic when Chinese tourists are abroad. However, Once you’re in their culture, you’ll soon figure out that this behavior is indeed the norm. When you move to China, you are a guest in their country and an outsider to their culture. Whilst you may find the loudness, pushing, impatience, and shouting rude at first and something you may not be able to get on board with, try to embrace it. That doesn’t necessarily mean do it yourself (I do love being able to speak my mind, though) but simply be more understanding and tolerant to behavior you may not be used to. If you want to really get on board with Chinese culture, try some Chinese dating! China is incredibly diverse. Before you move to China, it is best to research the type of area you want to live in. 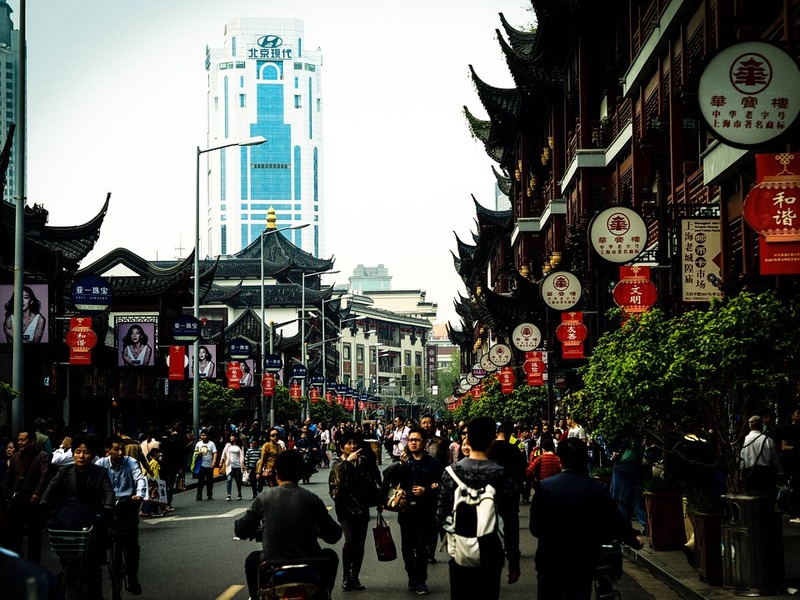 Do you want a big city with a Western feel like Shanghai? A more traditional China but still in a big city like Beijing? Do you want a city escape and head to a lesser visited area? How about being the only Laowai in the village? These are the things you should ask yourself before you move to China. Apart from these questions, before your move to China, you should also consider the kind of climate and culture you wish to be in. The north gets COLD. The south stays warm throughout, and in summer is very HOT. Life in the south is typically more chilled out and laid back – especially if you head very south to somewhere like Hainan island. Chinese people from the North are tough and don’t take any nonsense. There will be certain things that you will find harder to accept than others. The spitting in the street, the lack of queueing, and the small children wearing no pants and doing their business in the street… These are all things you should try and accept simply as something very different from something you may be used to. Instead of getting frustrated at these differences, embrace them! Do this, and your moving to China experience will be a lot more pleasant. Get to China and don’t look back! Learning Chinese by being in China is by far the best and fastest way to do it. It is also a great experience to just live in China and take it all in from the inside. But remember, just because you’re in China it doesn’t mean you will automatically pick up the language. The hordes of German automotive engineers who have lived in China for four, five, six or more years and can barely muster a “你好 nĭ hăo” are proof of this. Come prepared and you will get much more out of your stay. You will leave China having not only had an amazing cultural experience but an incredible language learning experience too. Our LTL Team's are based in Beijing (HQ), Shanghai, Taiwan and Chengde! A mix of Chinese and foreign staff, we now boast over 20 staff members.